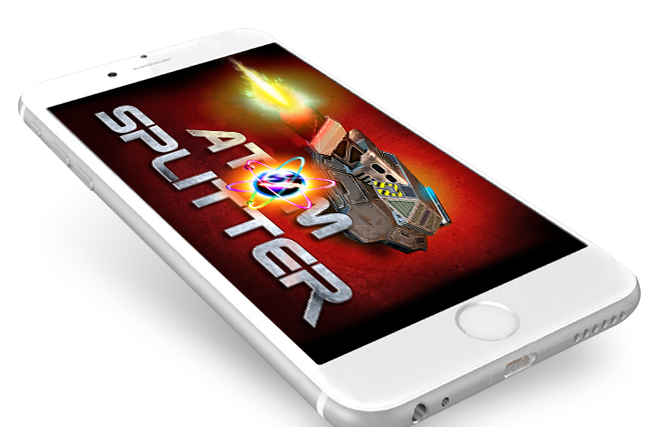 Split the Atoms and blast your way through a host of challenging levels with Atom Splitter, an exciting arcade shooting game where speed and accuracy will test you to the max! Every level is based on a different atomic particle and contains Electrons, Protons, Neutrons and Quarks. You must equip your plasma canon with the correct level fire power and just the right amount of shield to blow apart and annihilate all the particles inside the container. This fast paced game, is against the atomic clock. Clear the board in time to win and move on to the next thrilling level. But beware the Black Hole! Trying to engulf all particles, destroy it in time to gain the highest possible score. As you earn or buy more atomic points, you can unlock a powerful arsenal to assist you in your task. You must carefully redistribute the atomic points your earn to tailor your weaponry and give you the best chance of success. Once you accrue 6 atomic points, you can unlock ‘The Sentry’ which will do the grunt work. You can modify it’s fire rate and shield with atomic points. With 8 atomic points you can release ‘The Attractor’, which affects nearby Quarks. Anything it touches is destroyed! Finally, with 16 atomic points you can make full use of the Laser, which will keep going until it’s fire power has dissipated. Compete against other players, unlocking achievements and posting the fastest times. Ready to start? Power up and get blasting! !